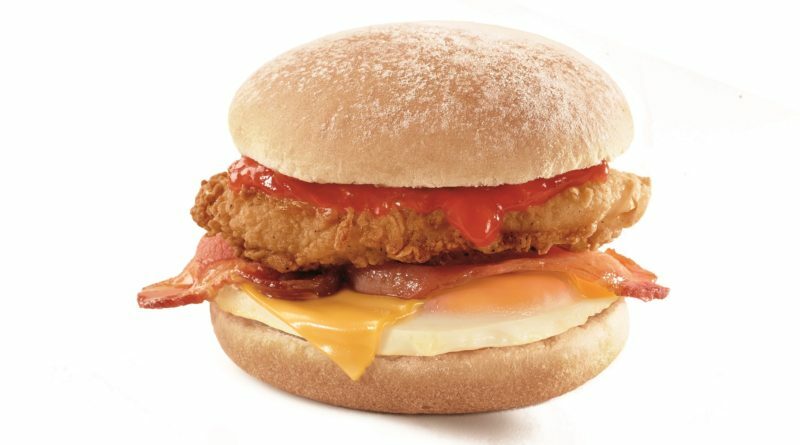 Following a successful trial in Beaconsfield, the breakfast menu will be available every day from 6am – 10.30am, and will feature the brand new Chicken AM – a piece of Original Recipe chicken, smoked bacon, a freshly cracked egg and cheese in a floured bun, as well as a bacon roll and a bacon and egg roll. Early Birds rejoice as the launch of KFC’s new breakfast menu sees the usual morning choices make way for finger lickin’ good chicken on Monday 10th October. How do you like your eggs in the morning? 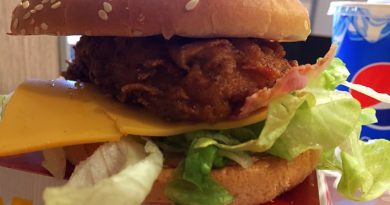 If the answer is with a piece of Original Recipe chicken, smoked bacon and cheese in a floured bun, then you’re in luck, as the Chicken AM, part of KFC’s new breakfast menu, launches on Monday 10th October. 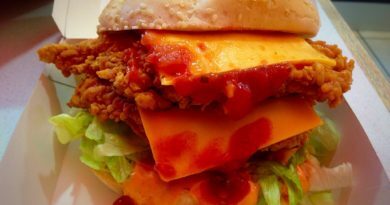 The new menu will be launched in an initial ten restaurants across the UK. In addition to the finger lickin’ good Chicken AM (£2.49), the menu will also feature a bacon roll (£1.75) and a bacon and egg roll (£1.99). The meal option includes a hash brown, and a cup of Seattle’s Best Coffee. The new Chicken AM from KFC hopes to kick start a taste for chicken for breakfast in the UK. It’s already a much-loved choice elsewhere – in Mexico, Chilaquiles with pulled chicken are a favourite breakfast option, whilst in Indonesia, chicken porridge is a morning must-have. KFC is a popular breakfast choice in South Africa, China and Singapore among others. 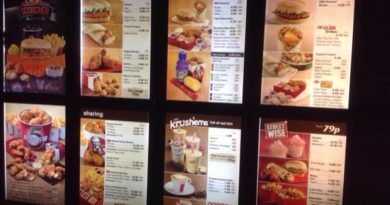 Jack Hinchliffe, Head of Innovation at KFC UK & Ireland commented; “Following a successful start in Beaconsfield, we are excited to begin rolling out our breakfast menu across the UK. 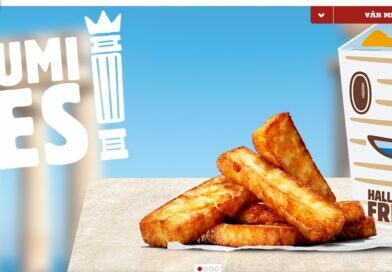 I have just visited KFC website and can find no mention of new breakfast range under either Menu or News sections of their website. Is it still available at Beaconsfield services? It’s available at Cobham Services at J10 on the M25 for £3.99. Just had one for the first time and it’s bloody awful. The taste of the chicken is totally lost in the bacon and the hash brown looks like someone sat on it. Wish I’d had the standard Macca’s breakfast instead. KFC, stick to what you’re good at.